1. Get a jump on your taxes. I never wait until April to do my taxes. I like to figure out my gross income and calculate a rough estimate of my net income before the end of the year. Then I send that number to my accountant for an estimate of what I'll owe. Sometimes the number is scary, but I'd rather know that going into the new year than wait and be surprised sometime in 2014. And besides, I use that tax figure to help determine how much I put in my SEP, or self-employment plan, at year's end. 3. Review your year. Every year, I clarify where my money came from. I usually send a holiday card and/or gift to my "whales," or most important clients. I also look for "lessons." Did I take on any projects that turned out to pay a lower hourly rate than I expected? Are clients asking for me to do work I need to gain more experience with? Did I have a steady stream of work, or was I facing a "feast-or-famine" scenario much of the year--like this one? What was the most worthwhile work I did? Which work paid the best? Which seems to have the most potential? Is there any kind of work I want to cut from my roster? 4. Set goals for the coming year. If, like many serious freelancers, you set an annual income goal, don't forget to calculate your daily nut. My goal in 2014 is to make $60,000, which means an average of $250/day. Average that figure throughout the year of 2014 and you'll meet your new income goal. Think about the other objectives you have as well. Do you want to branch into content marketing this year? (That's one of my goals.) Do you want to become an e-book author? Is this the year you get serious about writing fiction? Should you spend more time on social media--or at least use it more effectively? Decide what your goals are, and put them in writing. 5. Take time off. Every year, I take the week between Christmas and New Year's as vacation. Before I had kids, I used this week to sleep in, spend time with my husband, watch movies, and set goals for the coming year. I even read for pleasure! Gasp! Now with the kids much of my week is spent entertaining small children, but I do take some off during this week--and just as important, I'm planning when I'll take time off in 2014. Too often as freelancers we wind up working all the time--nights, weekends, first thing in the morning--and that's a recipe for burnout. I know I'm more productive when I get away from my computer, so I give myself at least one day (usually Saturday or Sunday) where I do no work at all except for checking my email first thing in the morning. Unplug yourself on a regular basis. I promise it's worth it. Readers, I hope 2013 has been a successful, productive year for you. If not, focus on 2014, and tune in next year for more practical, proven advice about how to make more money in less time as a freelance writer. And comment below to tell me what topics you'd like to see me cover here in coming posts! Finally, there's less than 48 hours left on my half-price offer on print editions of Improvise Press' first two titles: Dollars and Deadlines: Make Money Writing Articles for Print and Online Markets or Six-Figure Freelancing: The Writer's Guide to Making More Money, Second Edition. Until midnight on December 31, 2013, you'll get half off both titles when you order directly through ImprovisePress.com and use the discount code CHICKENS. What Does "Full-time" Freelancing Really Mean? I've been a full-time freelancer for nearly 17 years now (hard to believe!) but this doesn't mean I work full-time hours. In fact, for me one of the biggest advantages of freelancing is that I can make a full-time living working far fewer than 40 hours/week. During the last couple of years, I've worked between 10 and 20 hours/week and plan to continue to do so until my daughter is in school full-time; then I'll ramp up, hours-wise. I often say it's not dollars/word that matters when it comes to freelancing; it's dollars/hour. In the same vein, it's not the number of hours I work that is important--it's how productive I am with that time. I aim for an hourly rate of $100, although sometimes I make less than that,a and sometimes significantly more. And that rate helps me make what I want during my working hours. It also means that I can be spend more time with my kids, as well as give me time to pursue other professional interests. I'm juggling multiple careers at the moment. In addition to freelancing and ghostwriting, I own and operate Improvise Press, which publishes books to help creative people make money from their passions. (Don't forget--through year's end you'll get 50 percent off of print editions if you use the discount code CHICKENS.) And in January, I started working at my local Y as a personal trainer and I love it. This summer I got certified to teach Les Mills Body Pump classes, which I'm now doing at two Ys, and somehow I wound up teaching a circuit class once a week, too. I typically have about five clients I'm training at any given time, and I teach two-five/week depending on the week and sub schedules. The money is nowhere near what I make freelancing and ghostwriting but I love the interaction with clients and being part of something bigger than myself. I've trained clients ranging from high school athletes to seniors post-spinal-surgery and it's rewarding emotionally if not financially. However, I'm looking for ways to combine both better. This year I'll be focusing on finding more content marketing gigs in the fitness arena (for obvious reasons) and I've been working for one publishing client as their fitness expert. It's great because I no longer have to interview an "expert" to write the workouts or the Q and As; I am the expert. And that means I can make a great hourly rate--for example, I'm writing a workout now that will take less than an hour for $300. No, I can't make that kind of money training people but it definitely informs my writing work and makes me want to do more of the same! So, while I call myself a full-time freelancer, I'm anything but. My plan for the coming year is to continue to do pursue multiple careers, spending about 10-15 hours freelancing/ghostwriting and running Improvise Press, and 5-10 hours training/teaching. It's challenging to "do it all" and be an involved mom, too, but I've found that these different careers use different parts of my brain/personality/etc, and make me happier overall. To me, that's one more huge advantage of freelancing--the freedom to spend my time the way I want to. Readers, what about you? Are you really a "full-time" freelancer? If not, how else do you spend your "work" hours? I've been writing this blog for more than four years now, and its stats tell me what topics and which posts garner the most hits. Out of the top 10 posts of all time, four out of ten are templates, or samples. One is a critiqued pitch for a memoir; one is a letter of introduction, or LOI; another is a query; and the last is a query which I critiqued for a reader. Why are these posts so popular? Because they give readers a guide to follow. It's much easier (and faster) to follow someone else's model than to create your own query or letter of introduction from scratch. It's more effective, too. Successful freelancers have developed their own templates that they then customize, depending on the market or type of work they're pitching. The more types of work you do, the more templates you should have on your own hard drive. Remember, though, that the template is only the starting point. It's how you customize it for the market you're pursuing that is likely to help you get the gig. 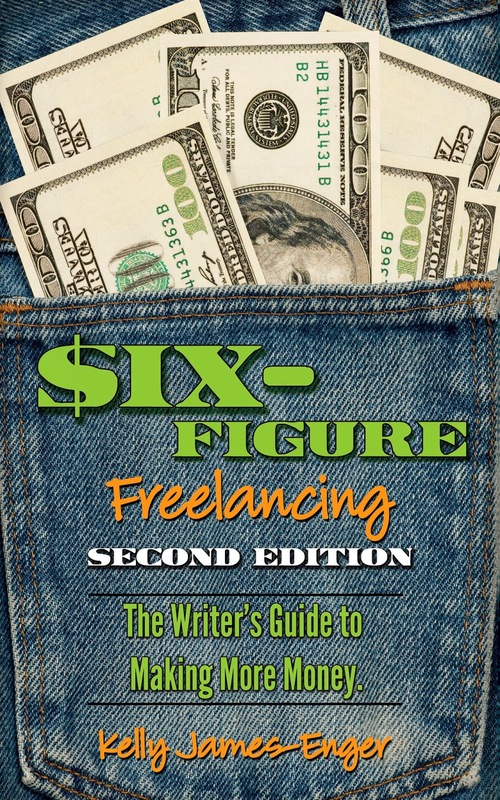 **I know how important templates and examples are, which is why I include everything from queries to invoices to contracts to "pay-or-die" letters in my books for freelancers like Six-Figure Freelancing, Second Edition. 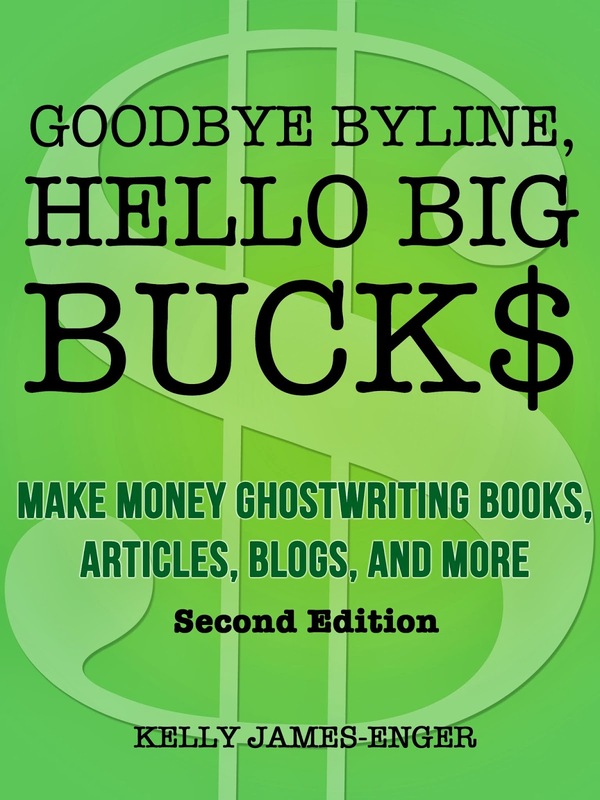 And my latest book, Goodbye Byline, Hello Big Bucks: Make Money Ghostwriting Books, Articles, Blogs, and More, Second Edition (Kindle), includes templates of LOIs that content marketing writers and ghostwriters use, along with sample contracts, nondisclosure agreements, and bids. Don't have a Kindle? Download it here. Do you ghostwrite? You should. Sure, you write without a byline or recognition. But I've found that I can make more money ghostwriting books for clients (including Pros with Platforms) than I can writing my own books. The reason is simple. When I ghostwrite, that's all I do. I don't have to market and promote the book (the most time-consuming part of authorship). That's my client's job. I get paid to write the book and then I move on to the next project. And remember, too, I don't run the risk of wasting my time writing a book proposal that may not sell the way I would with my own books. My client pays me upfront to write the proposal. But writers don't just ghostwrite books. They ghostwrite articles, blog posts, and content marketing pieces. Rates for this kind of work vary, but in general, you're looking at rates of $0.50/word to $1-2/word. What's that? You want to know even more about ghostwriting and how to succeed in this lucrative niche? 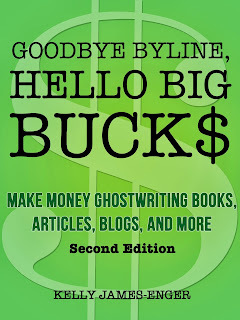 Then you'll want to read the updated, expanded edition of Goodbye Byline, Hello Big Bucks: The Writer's Guide to Making Money Ghostwriting and Coauthoring Books (Kindle version). From sample contracts to marketing advice to tips on setting fees and working with clients, you'll find everything you need to know to get started and make ghostwriting a lucrative part of your freelance career. Hey, it's Cyber Monday! And in honor of that, I'm bringing back the half-price offer on the print editions of Improvise Press' first two titles: Dollars and Deadlines: Make Money Writing Articles for Print and Online Markets or Six-Figure Freelancing: The Writer's Guide to Making More Money, Second Edition. For a limited time, you'll get half off both titles when you order directly through ImprovisePress.com and use the discount code CHICKENS. More Cyber-Monday bargains at the bottom of this post! 1. It's too general. Yes, I have a standard template that I used for LOIs, but that's only the starting point. Every LOI is targeted to that specific potential client. If I'm responding to a job post, I list the skills I have that match what the company is looking for. If I'm pitching a custom publication, I mention a recent article so the editor knows I actually looked at her magazine--you'd be amazed at how many writers don't even take that simple step. 2. You haven't proven yourself. Your LOI should demonstrate that you can deliver what the market or company needs. I make sure that each LOI highlights my specific experience that is likely most important to that client. For a ghostwriting client, that may be my ability to capture someone's voice; for a regular blogging gig, it might be my ability to produce a lot of content with tight deadlines. So for example, I recently went after project involving writing for law firms, so I highlighted my legal background. Sure, I specialize in health, fitness, nutrition, and wellness, but that's not relevant to this particular client so I omitted that. 3. Your LOI is sloppy. Misspellings and grammatical mistakes are a big turnoff when you're trying to impress a potential client. Proofread your LOI out loud (you'll catch more mistakes) before you send it out to make the best first impression. 4. You didn't use an "in." Instead of pitching a potential client "cold," look for a way to make a connection with that person. Can you connect with him or her through LinkedIn? Follow her for a few weeks on Twitter and mention a funny or helpful Tweet she posted? A "warm" pitch is more likely to be read, and responded to, than a completely cold one. 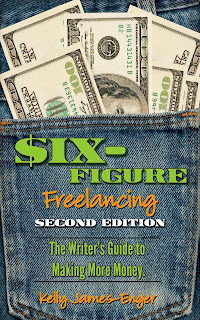 And finally, don't forget about my latest book, Goodbye Byline, Hello Big Bucks: Make Money Ghostwriting Books, Articles, Blogs, and More, Second Edition (Kindle), which includes templates of LOIs that content marketing writers and ghostwriters use, along with sample contracts, nondisclosure agreements, and bids. Don't have a Kindle? Download it here.